From the University of Canterbury. 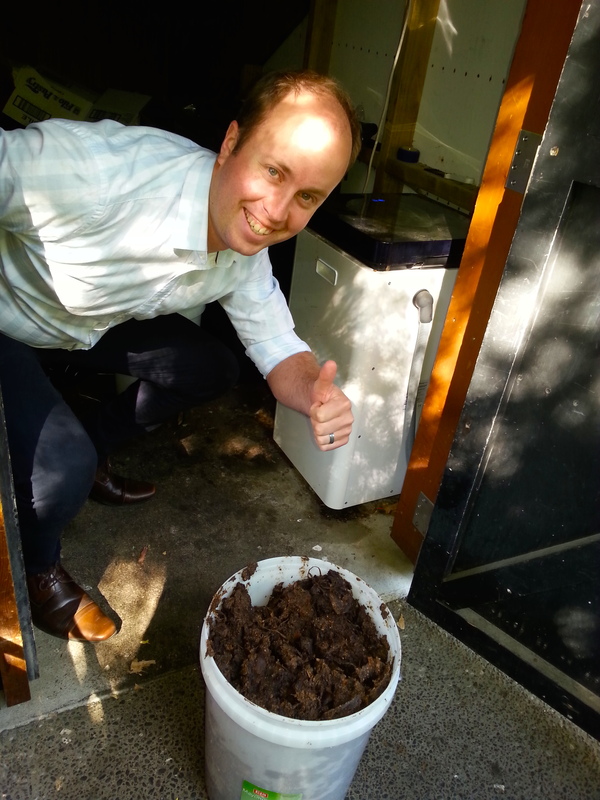 “50K Coffee Cups Composted – What’s next? 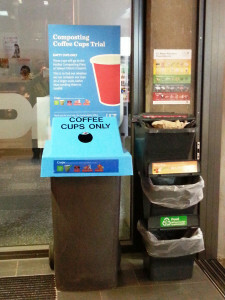 We have been operating our coffee cups collection trial for two years now, after starting the initial trial back in 2014. Now the trial is at an end and we can report that we have diverted around 50,000 coffee cups from landfill, and sent them to be composted. This is great – but we still have a long way to go. 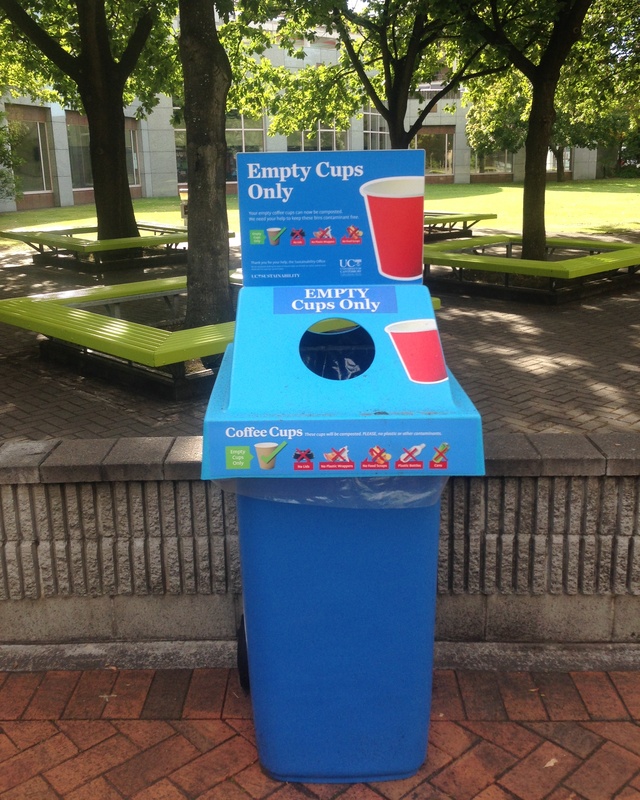 We will now be continuing with our coffee cup collection system, and hopefully expanding it so that there are more collection points around campus. We are also looking to shift from the current type of coffee cups to a version that is certified compostable, and we should see some advances in this area over the next 12-18 months. 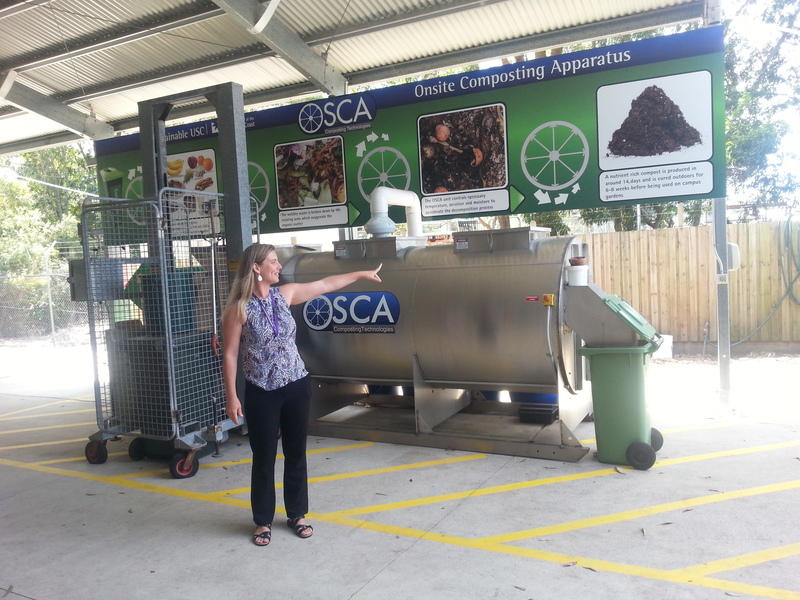 We were very excited to see the on-site composting of food waste and coffee cups at the University of the Sunshine Coast in their OSCA – On-Site Composting Apparatus. This simple system makes it possible to produce a high-grade compost on site (imagine how this could aid the creation of an Edible Campus, for example!) and eliminate some of the forms of waste we currently struggle with at UC (especially food grade plastic packaging). Check out the OSCA here for some inspiration! “Petrol station chain Z sells nearly five million coffee cups every year, and now it wants them back – for a good cause. Takeaway coffee cups have been trucked off to landfills in their droves, even those whose users diligently placed them in recycling bins. 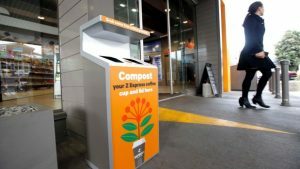 “More than 70 Z stores have become designated collection points for used coffee cups, limited to areas where commercial composting was available. “New Zealanders use more than 180 million coffee cups a year,” Z sustainability manager Emily Watt said. “I think what a lot of coffee drinkers don’t realise is that takeaway cups, although they’re made of paper, they’re lined with plastic, so they can’t be recycled in New Zealand. A lot of them end up in the landfill.